Chrome Soft Golf Balls are engineered with Graphene, a revolutionary carbon material. This allows Callaway to engineer a thinner outer core and significantly larger inner core. The result is a softer feel that promotes higher launch and lower spin on full shots for longer distance and more spin around the green. 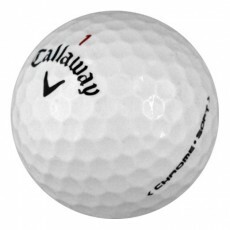 Callaway Chrome Soft Golf Balls are perfect for golfers of all skill levels who want longer drives and accurate straight shots.